When the screen is on in all of these reviews, you can clearly see, how should I say this, a "supplemental" black bezel that is not nearly as visible when the screen is off. Lots of hype about the super slim bezels with this phone. I like bezels. I'm fine with my Pixel, and this seemed obvious to me in the first video I watched. I know some of y'all are sensitive about your bezels and had a lot of excitement with this one. Are we pretending not to notice? If so, I wouldn't consider that a bezel. Also, your link is linking to a different article. Weird. The cover photo on ACs initial review shows the "thin black border"
Not a bezel, but easily .5 mm. I'm just saying. Watching the Verge video, you can see Deiter Bohn switch a bunch of apps, including some in split screen and the camera app. If those apps don't go to full, which ones would? Mostly games and other full screen apps. I have no issues with the way it works, but your mileage may vary. How do you have a G6? I don't have a G6. 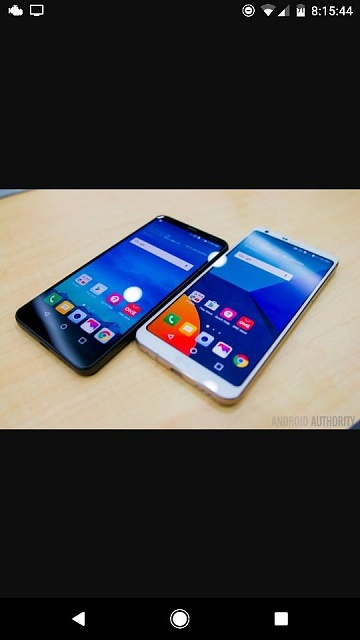 I had a G5 and V20. They are the same design. Dude, how could you tell the difference or not if it's not released yet? If you look at any phone panel from an angle, you'll see a black border because you're essentially looking inside the phone. Head one, you wouldn't be able to see that and I'm sure if you tilt the pixel, you'd see the same thing. The pixel gets great reviews and I'm sure it's a fantastic phone but wth is up with those huge bezels. I couldn't live with it. So much potential screen real estate lost. Dude, no need to be rude. Yes I can read, but you post one thing then talk about something different. I was going by what you posted. I can't see the difference in what you posted in those images. What you are posting now are specs concerning screen sizes. That is not your original post. I don't care about smaller bezels than I have here on my Pixel, but I know a lot of people do. LG is either fudging the screen/body ratio by building in an inner bezel (think HTC M7 bottom bezel, just thinner and all the way around) Or they sunk their panel under some seriously thick and ugly glass. Thick, one dimensional glass is a solid way to increase durability, we have already seen LG preemptively tout the strength and durability of this phone as the reason they avoided 2.5d glass. Even though the $800 price was just released, constructing a phone this way is also an excellent way to reduce manufacturing costs. I just assumed that bezel haters hated their bezels in the name of sleek aesthetics, or they want a smaller form factor vs screen size. Either way this is a mark against. It plain as day by looking at every video/pic of this phone so far there is a clear difference in the screen set up on this LG G6 than other current flagships. Someone show me a pic of a current iPhone, Pixel, Galaxy S that shows this same effect...ANY PIC. I'm currently writing this on a tilted Pixel. Not nearly the same thing. Manufacturers of flagship smart phones have designed the "sunken screen" effect out of phones two or three cycles ago with thinner, stronger 2.5d glass. No one wants to hear it, but this screen is not going to cut it side by side other flagships in carrier stores. If I seem rude, it's that I'm incredulous about why no one can't just see it for what it is. It's obvious. I think that's the inner bezel. 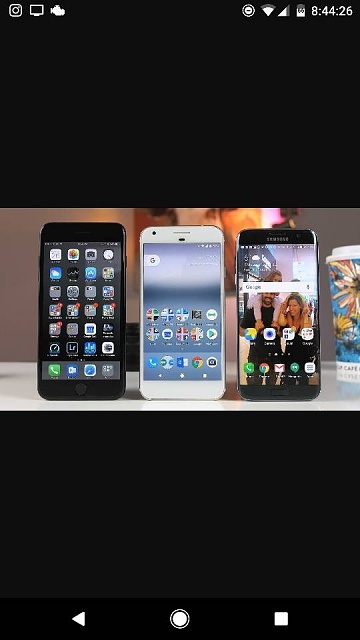 All my phones have had this (LG G2, Xiaomi Mi 5 etc), and most other phones do as well (I just looked at some Huawei P10 reviews). Curved phones and 2.5D phones make it slightly less noticable and also I think with LG the inner bezels are slightly thicker. Maybe the manufacturing process isn't precise enough so there needs to be some inner bezel to prevent the outer frame overlapping the display. Just guessing. I think this is just more noticeable on the G6 due to the tiny bezels. What should I do if nothing from the Google aps are working?